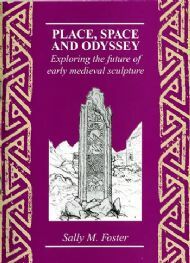 In this publication Dr Sally Foster explores the debate surrounding where sculpture should be preserved and the issues that stem from the practice of retaining stones in situ or in association with their historical findspots. Her starting point is the very different views of General Pitt Rivers (the first Inspector of Ancient Monuments for Britain) and his contemporary Joseph Anderson, Keeper of the National Museum of Antiquities at the end of the 19th century. Todays policies and practices have changed somewhat.